Super Hot!!! 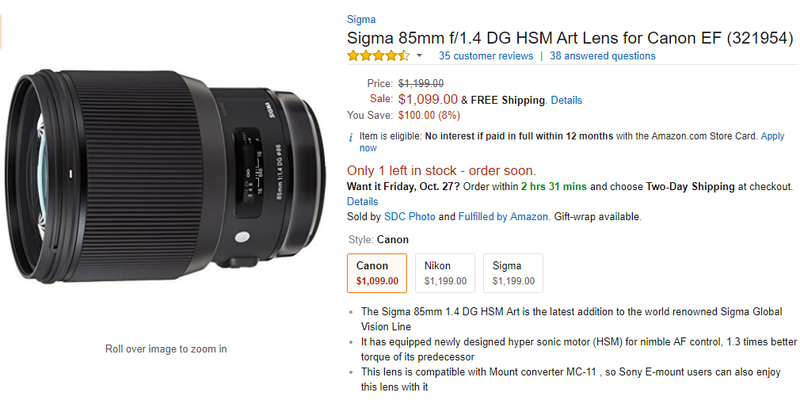 The price of the newly released Sigma 85mm f/1.4 DG HSM Art and Sigma 135mm F1.8 DG HSM | Art lens has dropped! Both lenses are available for Canon EF, Nikon F and Sigma SA mouts. See also 2017 PhotoPlus Deals. This entry was posted in Hot deals, Sigma Lens and tagged Sigma 135mm F1.8 DG HSM Art, sigma 85mm f1.4 art lens, Sigma lens deals, Sigma lens rumors on October 26, 2017 by admin.